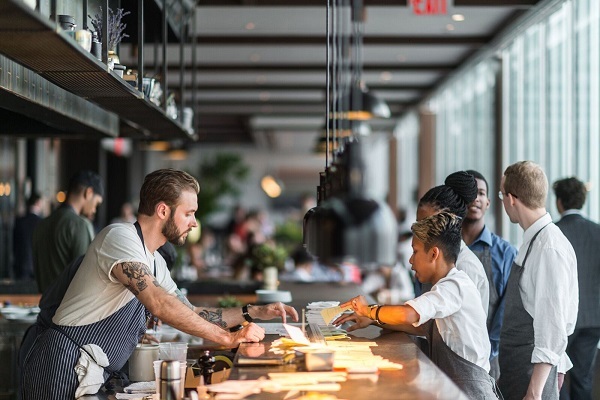 Danny Meyer's Union Square Hospitality Group is seeking experienced Line Cooks to join the team at Manhatta! Line Cooks start at $15/hour, with revenue sharing, full benefits, and jaw dropping panoramic views of New York City from our space on the 60th floor of the 28 Liberty building! You'll get the opportunity to work alongside Executive Chef, Jason Pfeifer, who began his career with USHG at Gramercy Tavern, then trained at Noma and Per Se before joining the opening team of Maialino. The ideal candidate will be friendly, devoted, curious, and have a strong passion for food and hospitality. Restocks items as needed throughout shift. Assists with scrub down and organization of kitchen, refrigeration and storage areas, etc.